The One Eau de Toilette is an enchanting, sensual and feminine scent, with a new twist of freshness that magnifies the key note of madonna lily. More vibrantly alive than ever, the floral fragrance was captured in all its nuances by the perfumer Michel Girard, to create a new floral addiction and exalts its sensuality. 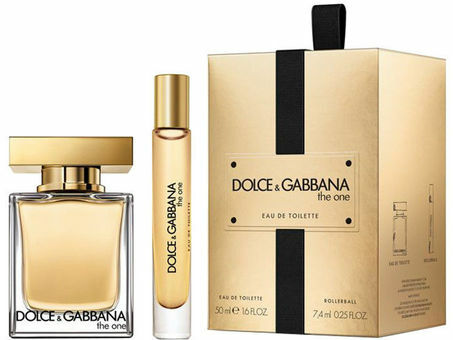 To showcase the new Eau de Toilette, Dolce&Gabbana revisits The One’s signature bottle with taller, slender and elegant lines. The geometric gold cap, sleek black logo and light gold box reprise the color codes of the range. The madonna lily’s white petals dusted with golden pollen meet blossoms of Italian bergamot, mandarin essences, silky lychee and luscious white peach. A bespoke essence of ylang moheli, especially distilled to reveal its luminous lily facets, is enhanced by tender orange blossom and honeyed broom absolutes. A sensual drydown of vanilla, vetiver and musk wraps the exuberant bouquet in a sensual trail.